The first four posts of the Customer Development Manifesto described the failures of the Product Development model. This post describes a solution – the Customer Development Model. 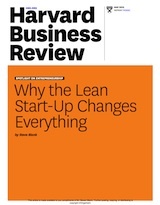 In future posts I’ll describe how Eric Ries and the Lean Startup concept provide the equivalent model for product development activities inside the building and neatly integrates customer and agile development. Most startups lack a process for discovering their markets, locating their first customers, validating their assumptions, and growing their business. A few successful ones do all these things. The difference is that the ones that succeed invent a Customer Development model. This post describes such a model. Customer Development is designed to solve the problems of the Product Development model I described in the four previous posts. Its strength is its rigor and flexibility. The Customer Development model delineates all the customer-related activities in the early stage of a company into their own processes and groups them into four easy-to-understand steps: Customer Discovery, Customer Validation, Customer Creation, and Company Building. These steps mesh seamlessly and support a startup’s ongoing product development activities. Each step results in specific deliverables. The Customer Development model is not a replacement for the Product Development model, but rather a companion to it. As its name should communicate, the Customer Development model focuses on developing customers for the product or service your startup is building. Company Building transitions the organization from one designed for learning and discovery to a well-oiled machine engineered for execution. Integral to the Customer Development model is the notion that Market Type choices affect the way the company will deploy its sales, marketing and financial resources. Market Type changes how you evaluate customer needs, customer adoption rate, how the customer understands his needs and how you should position the product to the customer, etc. As a result different market types modify what you do in in each step of Customer Development. Learning and discovery versus linear execution is a major difference between this model and the traditional product development model. While the product development model is linear in one direction, the customer development model is a circular track with recursive arrows.The circles and arrows highlight the fact that each step in Customer Development is iterative. That’s a polite way of saying, “Unlike product development, finding the right customers and market is unpredictable, and we will screw it up several times before we get it right.” (Only in business school case studies does progress with customers happen in a nice linear fashion.) The nature of finding a market and customers guarantees that you will get it wrong several times. The Customer Development model assumes that it will take several iterations of each of the four steps until you get it right. It’s worth pondering this point for a moment because this philosophy of “It’s OK to screw it up if you plan to learn from it” is the heart of the methodology. Customer Development starts by testing your hypotheses outside the building. Not in planning meetings, not in writing multiple pages of nicely formatted Marketing Requirements Documents, but by getting laughed at, ignored, thrown out and educated by potential customers as you listen to their needs and test the fundamental hypotheses of your business. Notice that the circle labeled Customer Validation in the diagram has an additional iterative loop going back to Customer Discovery. As you’ll see later, Customer Validation is a key checkpoint in understanding whether you have a product that customers want to buy and a road map of how to sell it. If you can’t find enough paying customers in the Customer Validation step, the model returns you to Customer Discovery to rediscover what you failed to hear or understand the first time through the loop. The Customer Development process keeps a startup at a low cash burn rate until the company has validated its business model by finding paying customers. In the first two steps of Customer Development, even an infinite amount of cash is useless because it can only obscure whether you have found a market. (Having raised lots of money tempts you to give products away, steeply discount to buy early business, etc., all while saying “we’ll make it up later.” It rarely happens that way.) Since the Customer Development model assumes that most startups cycle through these first two steps at least twice, it allows a well-managed company to carefully estimate and frugally husband its cash. The company doesn’t build its non-product development teams (sales, marketing, business development) until it has proof in hand (a tested sales road map and valid purchase orders) that it has a business worth building. Once that proof is obtained, the company can go through the last two steps of Customer Creation and Company Building to capitalize on the opportunity it has found and validated. The interesting thing about the Customer Development model is that the process represents the best practices of winning startups. Describe this model to entrepreneurs who have taken their companies all the way to a large profitable business, and you’ll get heads nodding in recognition. It’s just that until now, no one has ever explicitly mapped their journey to success. 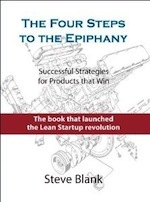 Even more surprising, while the Customer Development model may sound like a new idea for entrepreneurs, it shares many features with a U.S. war fighting strategy known as the “OODA Loop” articulated by John Boyd and adopted by the U.S. armed forces in both Gulf Wars – and by others. The next post provides more details about each of the four steps in the Customer Development model. I’m a non-business person, working on an idea in the field of recruiting. I wanted to share my understanding of market types from the perspective of user experience. New market – people do not know what they will be feeling when using your product. These definitions were easier for me to fit into my plan for acquiring customers, as they contain the essence of what needs to be done in each market type situation. 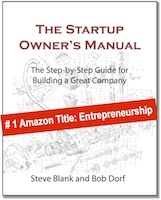 as I get it, you first need to understand where your startup fits into the Market Type concept. For existing markets you may not have anything unique at all. I read so much about Customer Develoment now. It was really enlighting in the beginning. But now I start to ask myself questions. In no literature I read, I can find information about the “stop signs” in CD. When do I know (or can guess) that I am finished with one step? I could use just gut feeling. But that needs too much experience, to be happy with gut feeling (or to say it in different words, I have to kill some of my startups before I learn, when to go to the next step). The short answer to “when do you know you’re done with a step” depends on the Customer Development step. In Customer Discovery it is when customer responses seem to converge and additional interviews aren’t producing significantly new information. In Customer Validation it is when you have enough early sales to declare that you have discovered a repeatable and scalable sales process. The absolute number depends on your channel and industry. For example, if you are selling enterprise software, getting 3-5 early customers may be enough in Customer Validation. But if you have a web based product the right answer may be 300-500. It does help. Thank you, Steve.